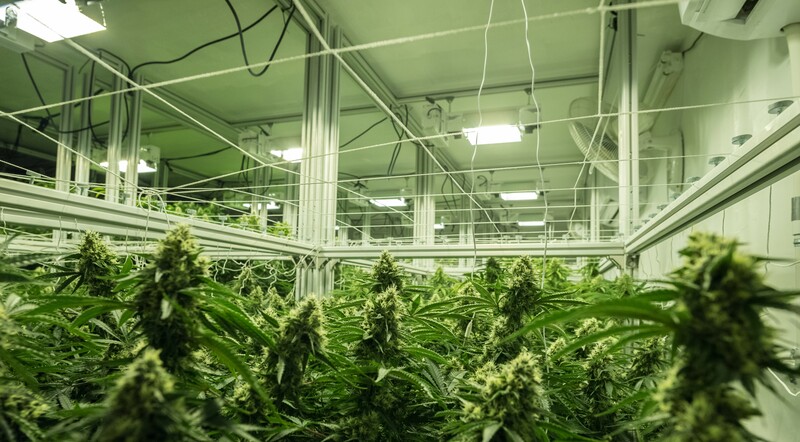 AEssense low-cost indoor lighting is optimized to deliver exceptional growth for indoor grow environments. Whether HID or LED, AEssense grow lights provide unparalleled PPFD, exceptional uniformity, and maximum flexibility. 1,130 µmol/s/m² 40"x50" @ 12"
Need help identifying the best grow light? Selecting the grow light you need is a critical decision but finding the right one is a real challenge. This white paper takes you through the process of comparing regular HPS lights with newer generation LED bar and LED panel lights, and helps you to compare them on a level PPFD playing field. Familiar with lights but not used to horticultural terms like PPFD? Take a look at this cheat sheet. This other white paper helps understand the total cost of owning grow lights. It is highly recommended reading for anyone that cares about yields and getting their money's worth in lighting. 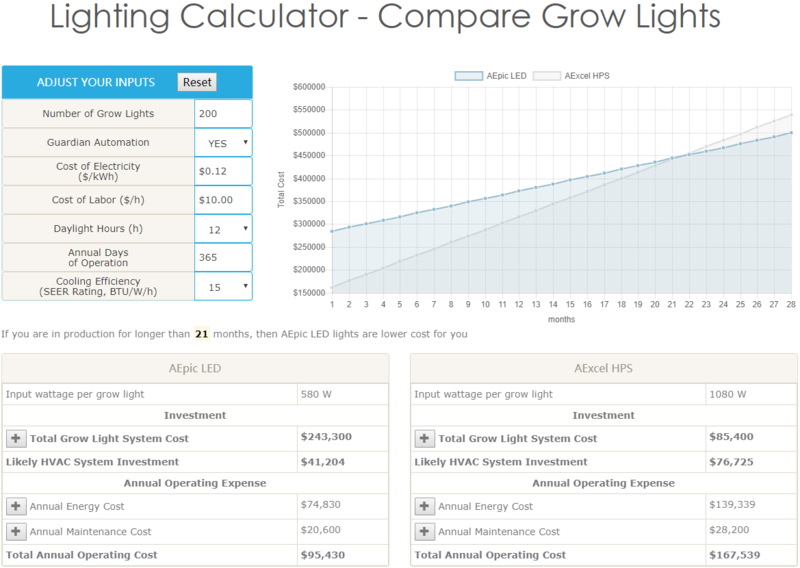 This cost calculator helps you visualize and compare the investment and operating costs of different grow lights, including cost of automation, energy usage, cooling, and service costs. AEssense LED grow lights are optimized for a wide range of plants in different growth stages and deliver exceptional yields in indoor grow environments. 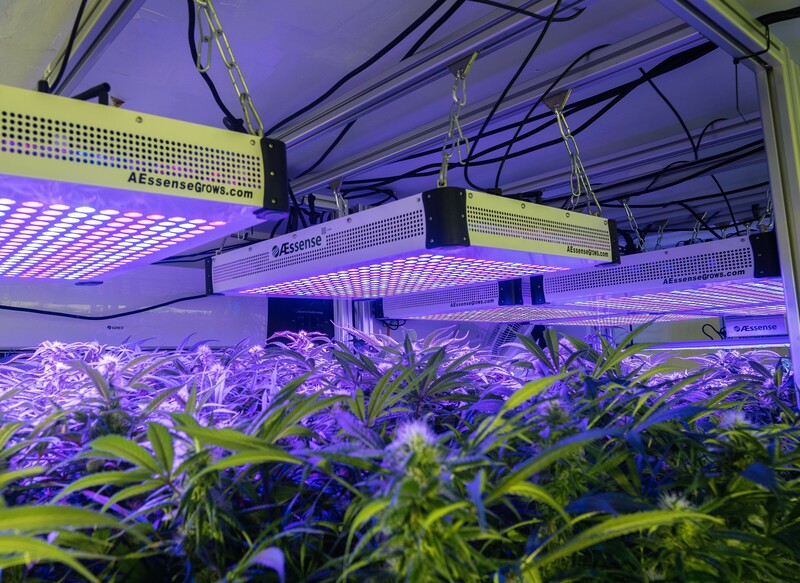 With easy automation, high efficiency, and optimized spectrum, our AErix and AEpic LED grow lights are ideal for large scale commercial horticulture grow installations and are the perfect fit for AEtrium systems. Our LED lights produce exceptionally high and uniform PPFD while using minimal power and generating minimal heat output. These lights are dimmable and easy to control centrally for maximum automation. AEssense LED grow lights are particularly good for vertical farming and low height farming. Low-cost HID grow lights from AEssense are optimized for large scale commercial grow installations. Our HPS and CMH lights are the lowest cost high output blooming devices available. Consider them for high yields and the best ROI. With high level photon flux and multiple voltage ranges, these grow lights are flexible solutions for your low-cost lighting needs and tall plant environments. Our HPS and CMH lights are dimmable and can be network controlled to optimize your grow environment.